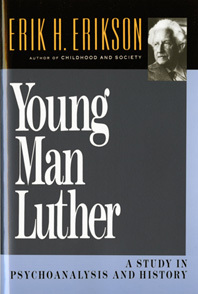 Young Man Luther - Description | W. W. Norton & Company Ltd. In this psychobiography, Erik H. Erikson brings his insights on human development and the identity crisis to bear on the prominent figure of the Protestant Reformation, Martin Luther. Erik H. Erikson's way of looking at things has contributed significantly to the understanding of human development and the nature of man. Identity: Youth and Crisis collects Erik H. Erikson's major essays on topics originating in the concept of the adolescent identity crisis.